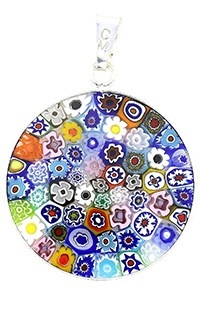 Murano Glass Jewelry is a fine hand made blown glass that is produced from the historic Venetian island of Murano. The island is located off the shore of Venice, Italy. This port city has been operating since the 7th century. Around the 10th century, Murano became known for its glassmakers that created unique blown glass pieces, like necklaces and earrings. Since then the Murano glass makers have migrated and continued making beautiful glass. Authentic Murano glass is considered to only be fabricated in Murano. The glassmaking in Murano originated in Rome in the 9th century, with significant Muslim and Asian influences. Venice being a major trading port, was a good place to produce glass as well. Glass making was born after the Venetian Republic feared fire would destroy the city’s mostly wooden buildings. The Republic ordered glassmakers to move their foundries to Murano in the year 1291. Venetian glass is still interwoven with Murano glass. While glass makers in early Murano produced fine blown glass for different uses, the Murano glass bead became also highly desired. Murano glass beads or Venetian glass beads are sought out throughout the world for their artesian quality and beauty. They are also quite expensive with a single bead costing $48 or so, but there are various styles of imitation glass beads that can be just as beautiful and less the cost. Similar style beads can be found that are Murano inspired by such companies as Oriana Jewelry. They make very lovely floral patterns and brilliant color beads that are much admired for your bead collection. These beads are less expensive while still being available in so different design styles and sizes. 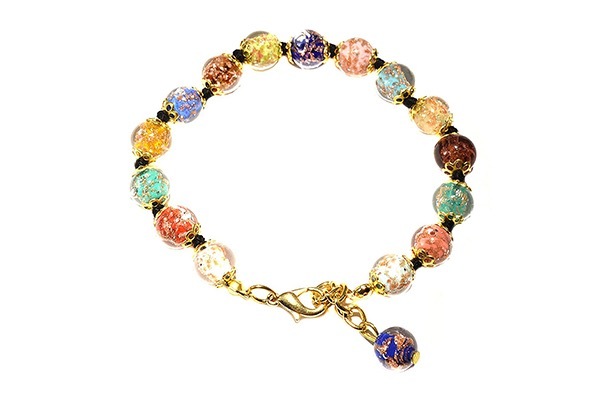 Enjoy hand blown glass beads that are Murano style inspired by the beautiful Venetian island. Each bead has slight differences because of its being hand made which means you’ll have a gorgeous one of a kind glass creation all your very own to cherish a lifetime.